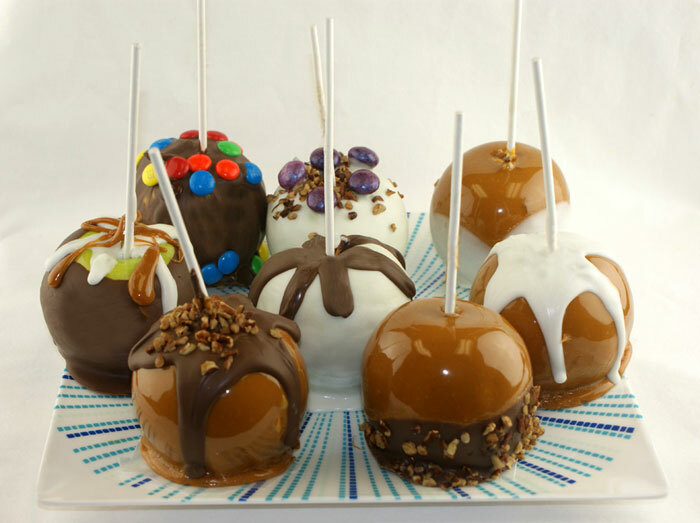 Remember getting candy apples at the fair? 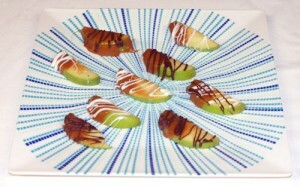 Well here’s what I’ve created: a simple caramel apple, with a little flair. Simple, yet de-lic-ious. Only 4 ingredients necessary, but you can add as many as you want! Any candy, nuts, and sprinkles you wish to use! Melt the whole bag of caramels with 2 Tbsp water over low to medium-low heat, babysitting and stirring constantly. 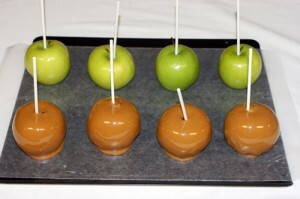 I started by dipping the apples in caramel and placing back on the wax paper to cool. You can speed up the process and put them in the fridge to cool. If caramel apples are sticking to the wax paper - use a light coat of nonstick cooking spray. You really can take this anyway you want now. 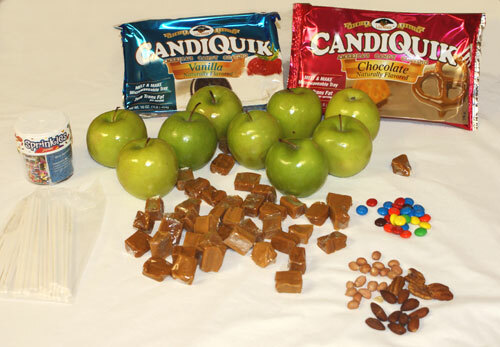 Once the caramel was set on the apples, add a lil’ vanilla CQ on a caramel apple…chocolate on another, how about some M&M’s. Half chocolate dipped – with pecans, why not!? To get the spilled chocolate effect – simply spoon a glob of CANDIQUIK onto the top of the apple and push to the edges, allowing it to drip down the sides of the apple. very creative and delicious. I sure like the way you walk us dummies through the process.